Der Artikel The Last Ship Season 1-5 (Complete Series) (UK Import) wurde in den Warenkorb gelegt. Ihr Warenkorb enthält nun 1 Artikel im Wert von EUR 68,99. Action / TV-Serie, 2267 Min. Post-apocalyptic drama adapted from the novel by William Brinkley. 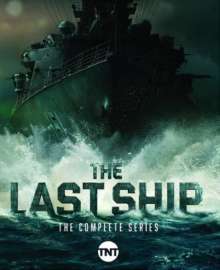 Doctors Rachel Scott (Rhona Mitra) and Quincy Tophet (Sam Spruell) are sent off on the USS Nathan James, captained by Tom Chandler (Eric Dane), on a mission to find a cure for a deadly virus which has rapidly spread across the world. On the voyage the crew find themselves in danger as they come under attack from others who want to get their hands on the cure.